The applicants are required to go through the Information Bulletin carefully and should satisfy themselves as to their eligibility for this Recruitment, before making payment of fee and submission of application. 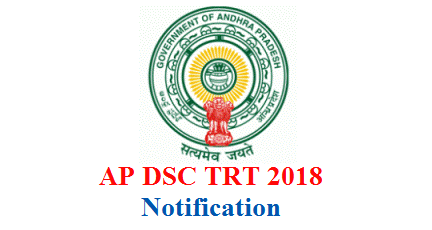 The Information Bulletin will be available on website (http://cse.ap.gov.in) from the date of notification which can be downloaded free of cost. The applicants have to pay a fee of Rs.500/- towards application processing and conduct of Recruitment Test (for each post separately) through Payment Gateway from 01/11/2018 to 15/11/2018. The last date for payment of fee is 15/11/2018 and last date for submission of application online is 16/11/2018. On receipt of fee the candidate shall be issued a ‘Journal Number’ with which he/ she can proceed with submission of application online. Issue of Journal Number does not mean that the candidate has completed submission of application online. It is only a confirmation of the fee received. The step by step procedure for submission of application through online will be given in USER GUIDE on website (http://cse.ap.gov.in) which will be made available from 01.11.2018. The post-wise vacancies in each district will be available in web site (http://cse.ap.gov.in) from 01.11.2018. AGE: No person shall be eligible for direct recruitment to the post of Teacher if he/she is less than 18 years of age and not more than 44 years of age as on 1st day of July of the year 2018 in which the notification for selection to the relevant post, category or class or a service is made. However, in case of SC / ST / BC candidates the maximum age limit shall be 49 years and in respect of Physically Challenged candidates the maximum age limit shall be 54 years. Upper age limit for Ex-service Men: A person, who worked in the Armed Forces of the Indian Union, shall be allowed to deduct the length of the service rendered by him in the Armed Forces and also three years from his age for the purpose of the maximum age limit. Qualifications: Post-wise qualifications as prescribed in G.O.Ms.No.67, Edn., dated: 26.10.2018 are given in the Information Bulletin. Written Test (CBT):- The Computer Based Test shall be conducted in all the districts. A candidate shall appear for the Computer Based Test in the district in which he/she seeks recruitment (or) in adjacent districts of neighbouring states.